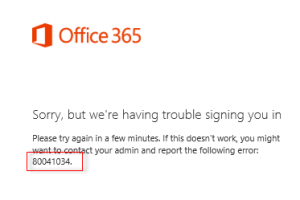 Recently, while installing and configuring the new Azure AD Connect Tool for a customer, we configured group filtering for an initial Pilot Group of users. After initial testing, the decision was made to expand this to another, more permanent group of users. While it appeared we could re-run the setup wizard, which gave us the option to change the pilot group, it would never actually update the database to reflect the changes. Thankfully, with the assistance of a colleague we were able to track down the table/field within the LocalDB and change the entry for the group. NOTE: Please proceed with this at your own risk – I’m quite certain this wouldn’t be a supported method from Microsoft, however it worked for us until this bug is resolved in the Azure AD Connect tool. 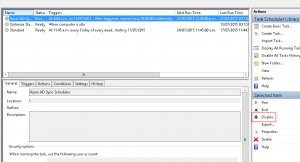 First disable the Schedule Task and Azure AD Sync Service. 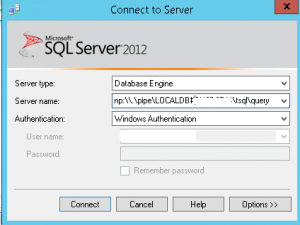 Using SQL Management Studio, connect to the LocalDB Instance with a logged on user/run-as user who is a member of the local ADSyncAdmins group. 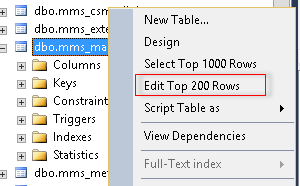 From there, right click on the Table “dbo.mms_management_agent” and select “Edit Top 200 Rows”. 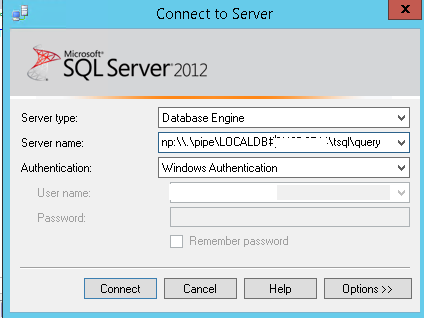 The data is stored under the second row column “private_configuration_xml”. From here, I’d recommend taking a copy of that entire field/XML first in case you need to reference it pre-changes. Simply replace MSONLINEUSERS with your group name and the remaining AD path for your specific group. 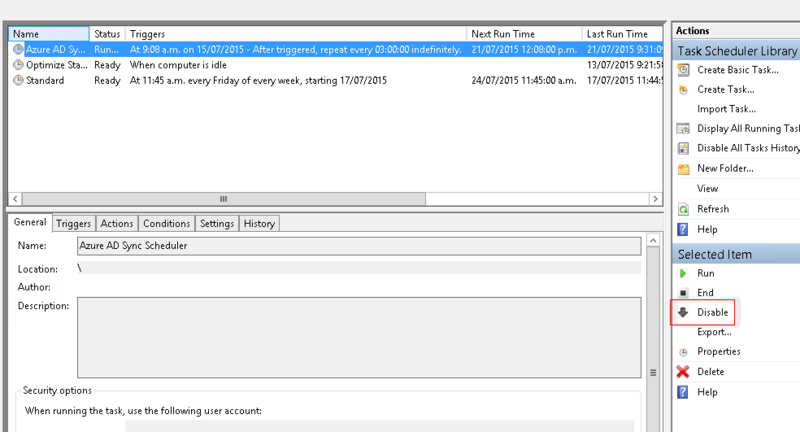 This then placed an updated/correct copy of the Relying Party trust into our ADFS server which resolved the issues!